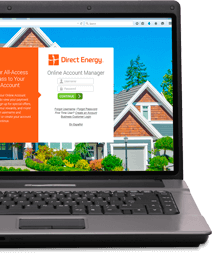 Home > FAQs > Ny > Signing Up for Service > Sign Up with Direct Energy > When will my New York service with Direct Energy begin? For electricity enrollments, your service will begin when your local utility company conducts your next meter read date after your switch to Direct Energy has been processed by the utility company. If you choose to cancel your switch to Direct Energy, you must do so within 3 business days. If the notice is provided on or after the planned effective date, the switch or cancellation of the switch shall occur the next switching cycle.